I DO NOT KNOW WHAT YOU HAVE RECEIVED"
The first collection of Porchia's Voices appeared in Buenos Aires, in a private edition, in 1943, and attracted little attention. A copy was sent by the author to the French critic Roger Caillois, who was moved to translate a selection of the aphorisms and publish them, with an introduction, in 1949. The somewhat patronizing tone in which Caillois presented his discovery did not conceal a sense of having been given a rare and original work, and the aphorisms themselves, in his versions, found at the time a number of admirers in French literary world. Judging by Caillois' observations, the remarkable content of the "Voices" is in a peculiarly pure sense the product of Porchia's own non-literary experience. Of this, or circumstances, little is publically known beyond a few facts so bare that they would fit on any tombstone. 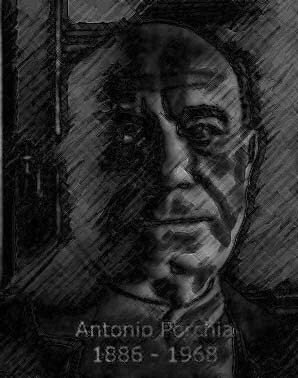 Antonio Porchia was born in Italy in 1886, lived in Argentina from 1901, and died in 1968. Voices represents the whole of his writing --some six hundred entries in all. There have been several editions since the first one. The most recent ( and in Porchia's judgment the most complete, though it does not include some from the first collection ) was published in 1966, and it is from this edition that the present selection has been made. Some of the entries, Porchia has stated, envolved over the course of the years; some he has deleted in favor of later ones wich, in his opinion, convey the same sense better. But the aphorisms themselves are not, in his view, compositions of his own so much as emanations wich he has heard and set down. It is easy to see why Caillois might have imagined that Porchia owed something to certains Eastern texts, and perhaps to some moderns such as Kafka. A few of the aphorisms have close affinities with sentences from Taoist and Buddhist scriptures; others suggest, among the moderns, not only Kafka but Lichtenberg, or --to someone whose language is English-- Blake. Caillois' determining, to his own satisfaction, that Porchia was unfamiliar with such possible mentors is interesting, surprising, and in the end remains for the most part a matter of curiosity rather than a contribution to an assessment of values and the originality of Porchia's Voices. For the authority which the entries invoke, both in their matter and in their tone, is not that of tradition or antecedents, but that of particular, individual experience. Whatever system may be glimpsed binding the whole together is not fashioned from any logic except that of man's cast of existence. It is this which makes the work as a whole, and some of separate sentences, elusive, but it is this which gives them their unmistakable pure immediacy-their quality of voice. At the same time, the entries and the work as a whole assume and evoke the existence of an absolute, of the knowlegde of it which is truth, and of the immense desirability of such knowledge. With no doctrinal allegiances, nor any attemp at dogmatic system, Porchia's utterances are obviously, in this sense, a spiritual, quite as much as a literary, testament. And the center to which they bear witness, as well as the matrix of their form, is the private ordeal and awe of individual existence, the reality that is glimpsed through time circumstance, as a consequence of feeling and suffering. It is this ground of personal revelation and its logic, in the sentences, that marks their kinship, not with theology but with poetry. And yet the reality of self, except as suffering, is not an unquestionable certainty. "My final belief is suffering. And I begin to believe that I do not suffer." In any event, the self is less real than that which is greater than it, on wich it depends. "We see by means of something which illumines us, which we do not see." The fidelity of Porchia's vision, and its personal embodiment in language, is too sharp, and frequently too desperate, however, to be temped to homiletics. On the contrary, the distillate of suffering in some of entries is pure and profound irony --an irony not of defense but of acceptance. "Every toy has to break." "When I throw away what I don't want, it will fall within reach." It is finaly the acceptance, with its irony, that underlines the suffering and the vision and relates them to each other in a way that suggest that the relation may be the privilege of man's existence. "Man goes nowhere. Everything comes to man, like tomorrow."